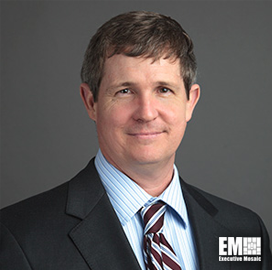 Rick Harrison, formerly a vice president and program manager at Noblis, has been named president of the nonprofit science and technology organization’s ESI subsidiary. He will be responsible for the group’s administrative, technical and financial operations as well as its business strategy, Noblis said Wednesday. Harrison has led organizations and helped develop platforms for national security-related command, control, communications, computers, intelligence, surveillance and reconnaissance programs. Rich Jacques, vice president of intelligence at Noblis, said Harrison brings leadership experience and understanding of customer missions will provide stability and continuity to the company. “We look forward to the future under his leadership, as we continue to advance our ability to provide increased attention and investment in C4ISR related capabilities to advance our clients’ top priorities,” Jacques added. Harrison joined the nonprofit in 2008 and spent 25 years with the U.S. Navy, where he served across naval intelligence groups and worked with national intelligence agencies. Noblis ESI offers advisory and support services to federal agencies in the systems engineering, program management, acquisition and advanced technology areas.